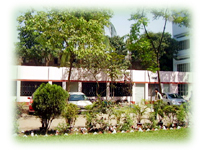 Shaikh Burhanuddin Post Graduate College Established in 1965. The name of Shaikh Burhanuddin was taken from the name of Imaamut Tareeqat Allama Shaykh Sayyid Muhammad Burhanuddin Uwaysi (Rad.) to commemorate his holly name. Proficient internal faculties and guest teachers from renowned institutions. Rich Central library and individual Seminar for every department. Extra-curricular facilities (Cultural event, Study tour, annual Sports, Cultural Club, IT Club) provided to improve level of competence.